Plants and flowers in your yard or garden don't all need to be on the ground. 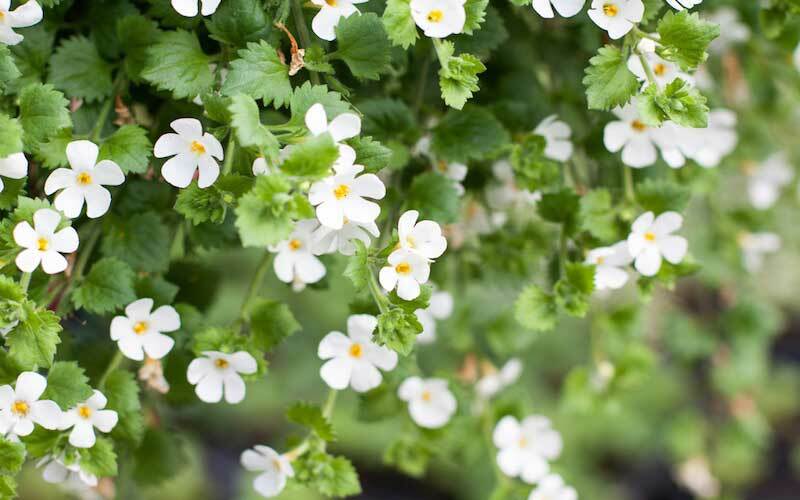 Here are the best plants for hanging baskets and stop kneeling to maintain them. Utilizing hanging baskets around your home or garden is a great way to create different levels for your space, as well as draw your guest’s attention. We’ve seen them work wonderfully hanging above front porches, as a way to welcome those entering the home, and we’ve seen them used within gardens as a way to create multiple levels, rather than only having plants in the ground or in pots. If you are considering adding some hanging baskets to your collection, you’ll want to be sure that you have a sufficient way to hang them. Depending on the size of plants you plan on using, you’ll want to make sure that you have a sturdy base from which you can hang the basket and a long enough chain that will allow your basket to rest at the proper height. You can always just buy pre-arranged baskets from your local grocery store, and it’s a great idea to do so if you don’t have a lot of time to spend putting together something of your own! But if you do have the time and feel like getting creative, we wanted to help you in your quest to impress your guests! 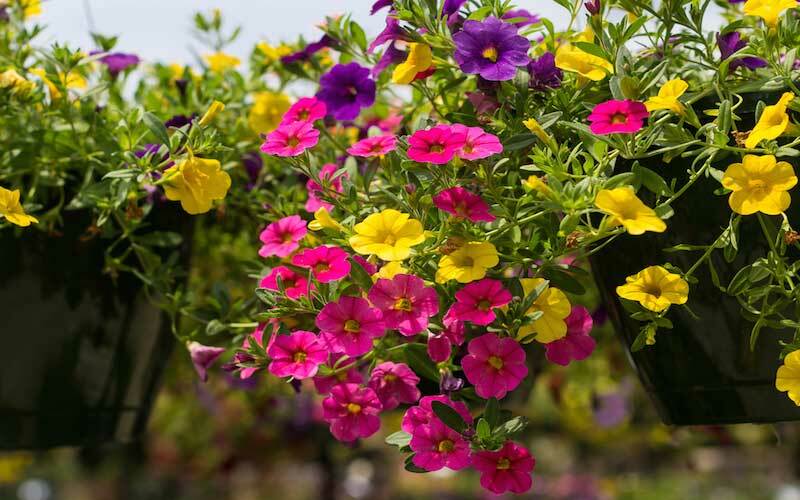 Take a look at these 25 different flowers that will work wonderfully in hanging baskets. You might just find something that works for you! 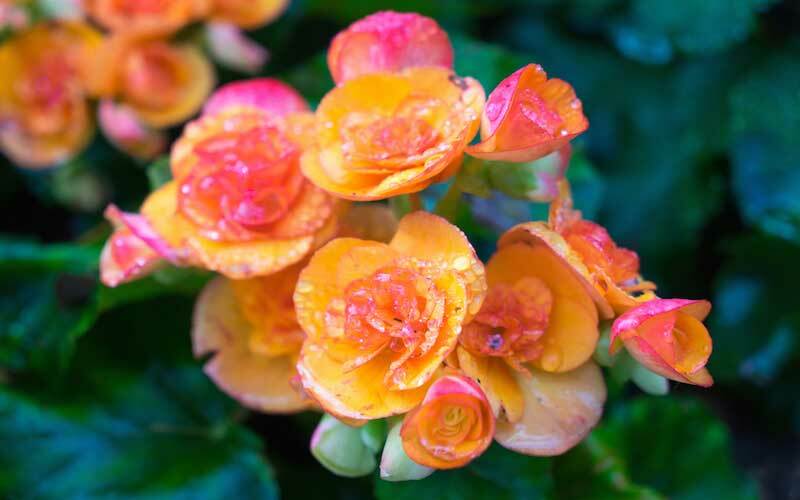 Begonias are elegant flowers native to tropical climates. They are quite popular and are appreciated as a houseplant thanks to their brilliant colors. This unique flower boasts an extravagant display of colorful petals. 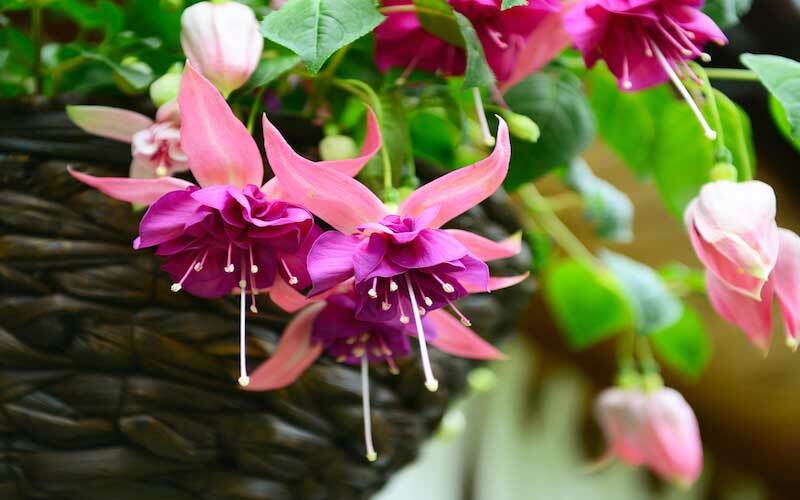 Fuchsia is a great plant for a hanging basket since the flower itself is always inverted. 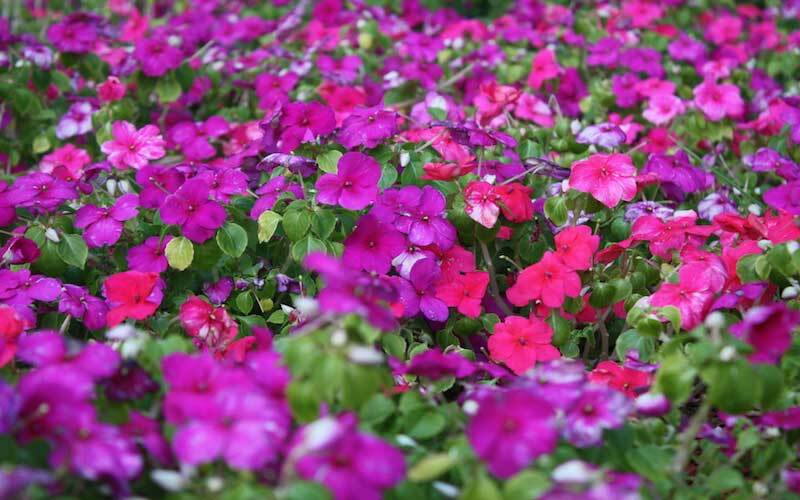 Impatiens are delicate flowers that are also known as “Touch-Me-Not” flowers. They have seed pods that explode and send seedlings floating up to several meters! 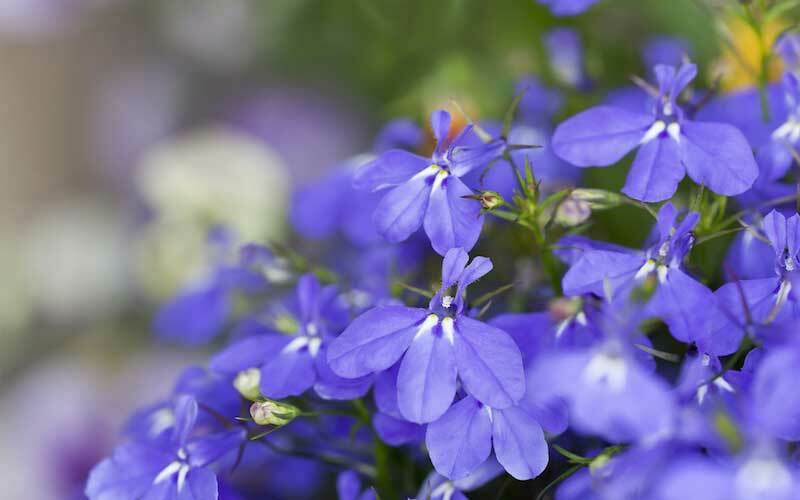 Lobelias are native to tropical climates, but can be found in moderate climates as well. Their beautiful pedals come in a variety of different colors. 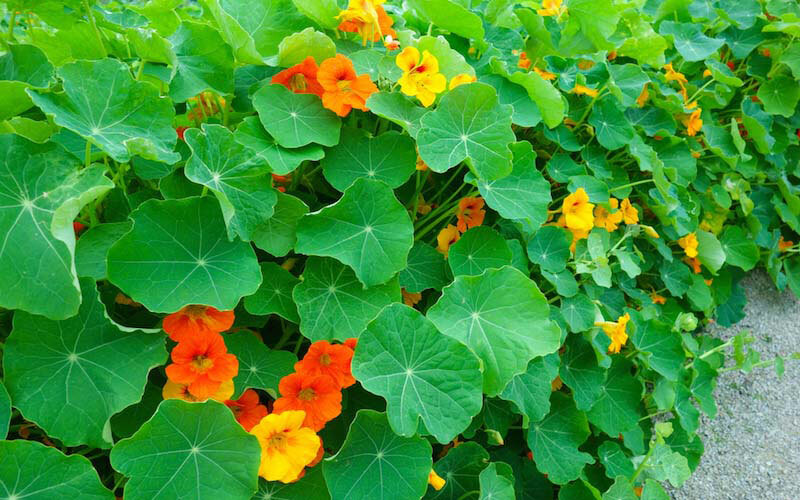 Nasturtium actually translates to “nose-twister” or “nose-tweaker”. 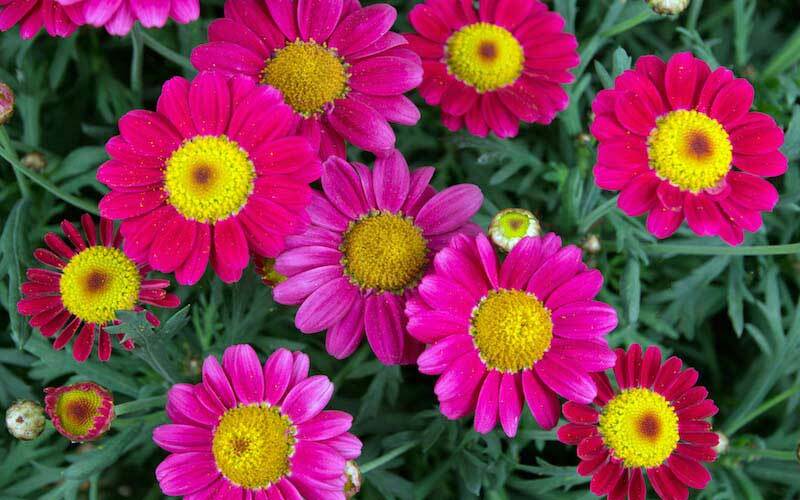 These bright flowers are usually symmetrical and always have 5 petals. 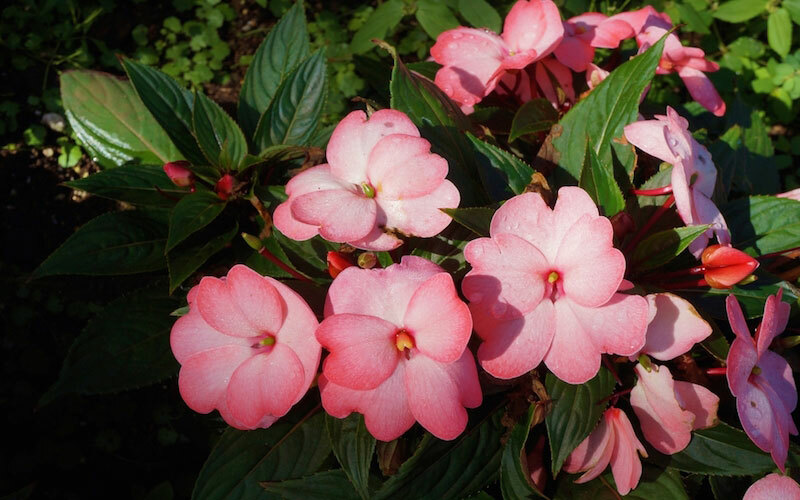 These New Guinea Impatiens feature a warm pink shading on the petals, with waxy green leaves accenting the brighter colors of the flower. Pansy’s are a common household flower and are known for their recognizable coloring and design of petals. A wonderful addition to your garden! Silver Bells are named after their vibrant coloring, shown here to appear almost silver against the bright green backdrop. 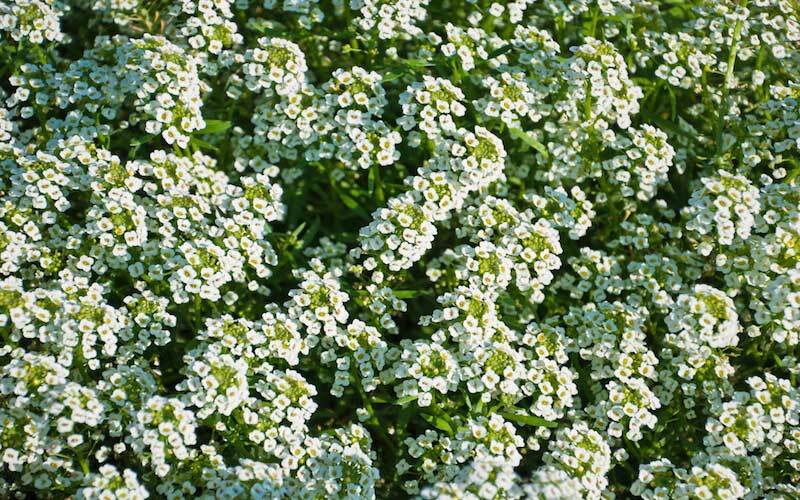 Sweet Alyssum flowers grow in tight clusters and are perfect for brightening up any space. The flowers themselves can grow in a variety of colors. Argyranthemums are bright and vibrant flowers, with large pollen beds that almost seem to pop out at you! These bright yellow flowers are great for bringing a space to life. 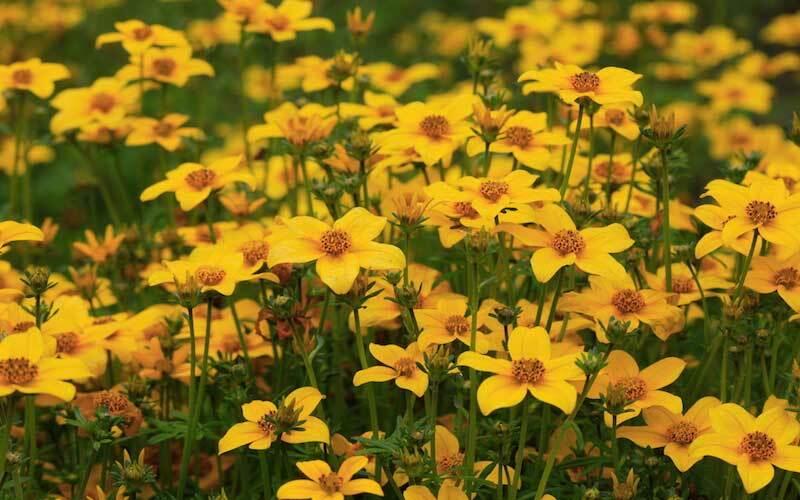 Their bold yellow petals seem to radiate happiness! 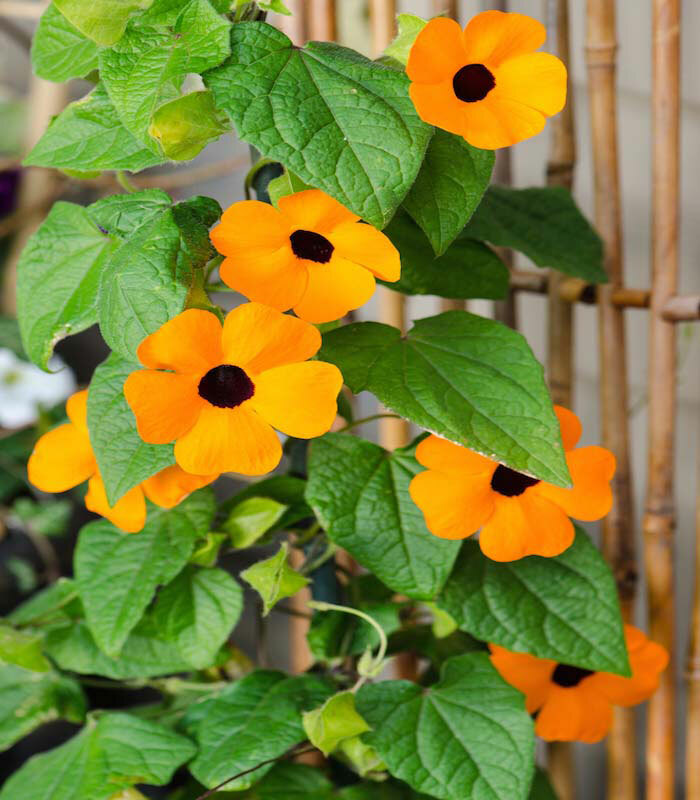 The Black Eyed Susan Vine is a favorite of ours. We love the stark contrast between the deep colored petals and the dark center of the flower. The Diascia Barberae is another delicate flower with thin stalks and uniquely shaped petals. 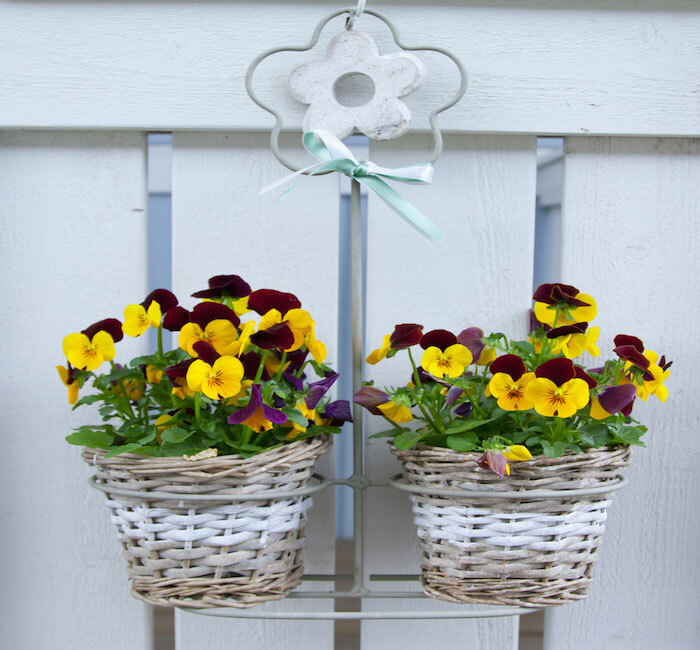 The small flowers are perfect for a hanging basket! 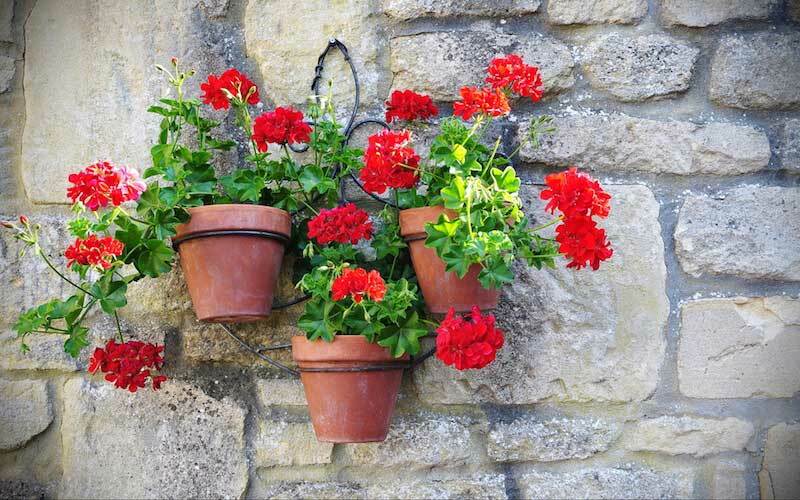 Geraniums are popular plants, with long vine-like limbs that make them great for hanging pots or baskets. We love the large clusters of red flowers! 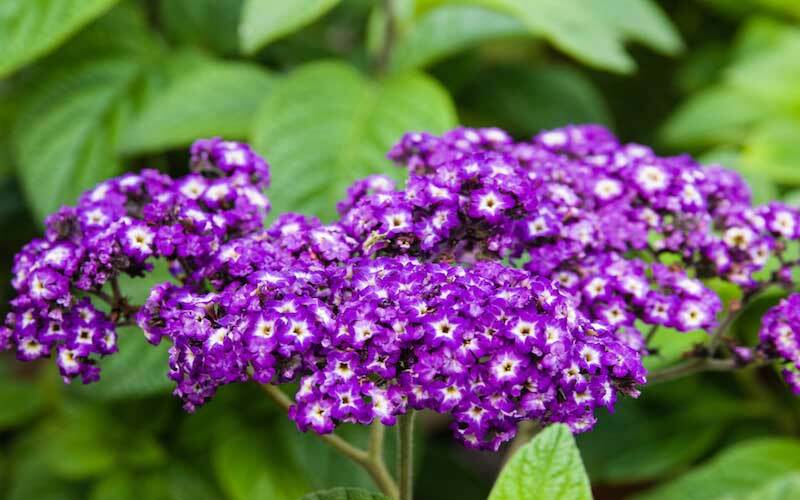 Heliotrope plants are tiny and grow in groups of dozens of little unique flowers. The petals themselves show a gorgeous blend of color. 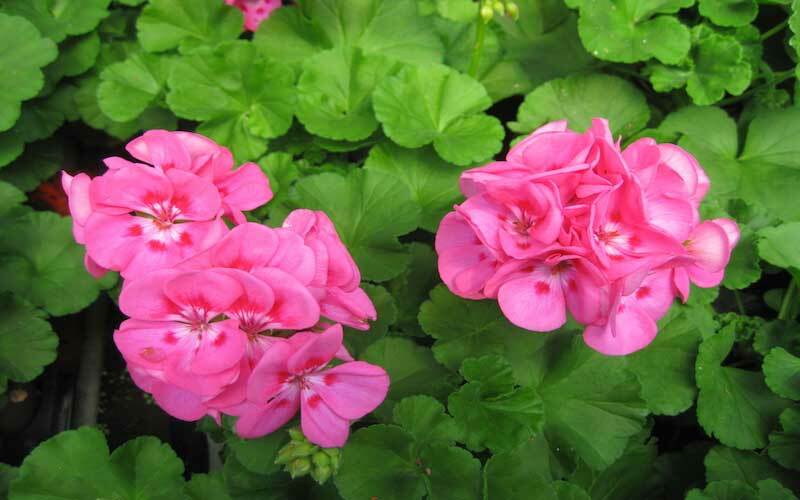 The Ivy Geranium Plant displays balls of wonderful flowers, showing an elegant blend of color on their petals. We love the large green leaves on the stalks! Lantana plants are truly gorgeous. 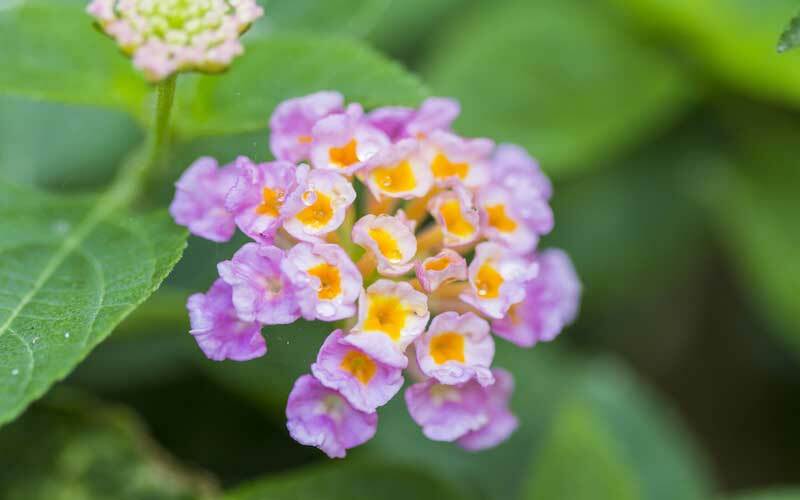 They feature tiny flowers with exquisite color combinations of purple and yellow. 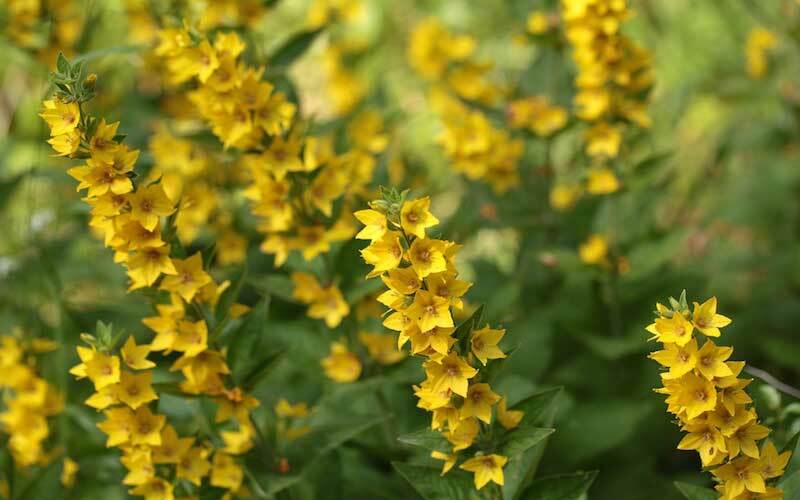 Lysimachia plants feature long stalks that sprout flowers on all sides. 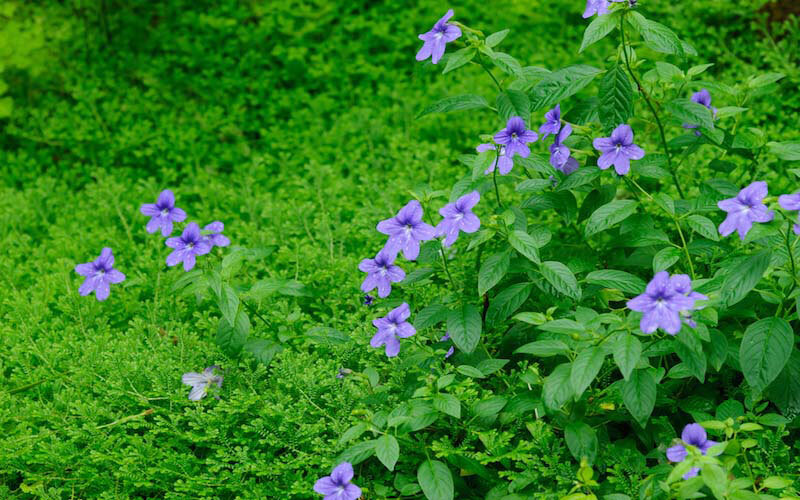 The tiny petals bloom in groups of five with pointed ends. 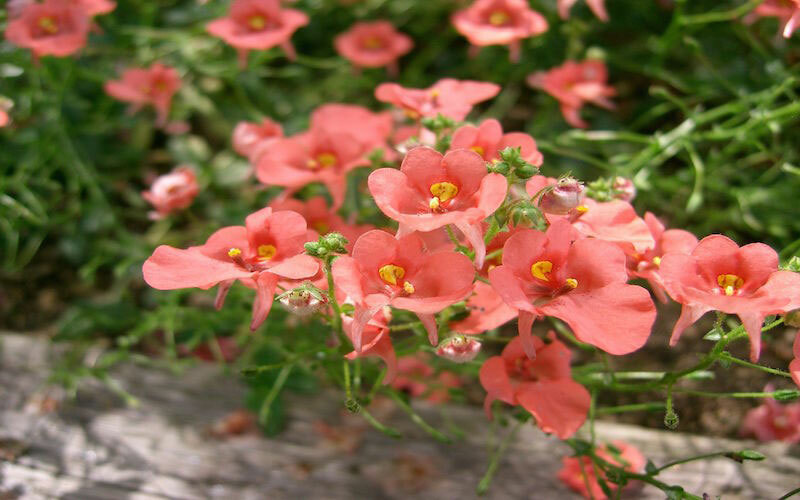 The Million Bells plant is perfect for your hanging basket needs. The stalks branch out from the root source and the flowers hang elegantly with upturned petals. 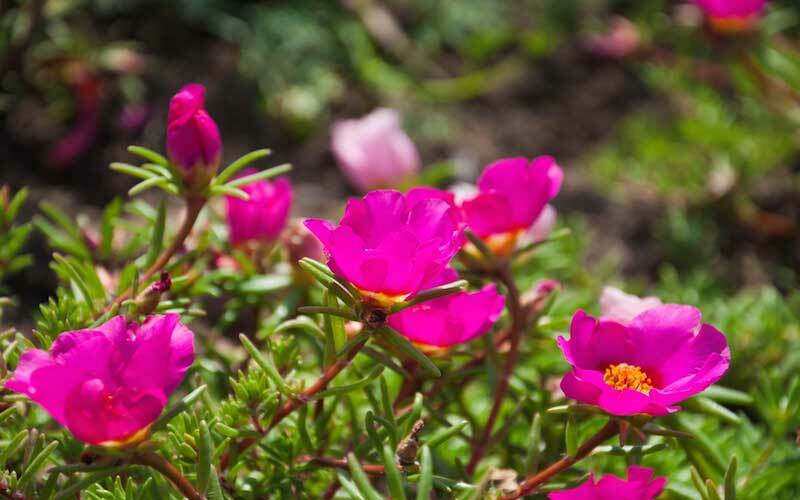 Moss Rose is a very peculiar plant with a unique aspect of beauty. The spiky stalks are in contrast with the large and vibrant flowers. 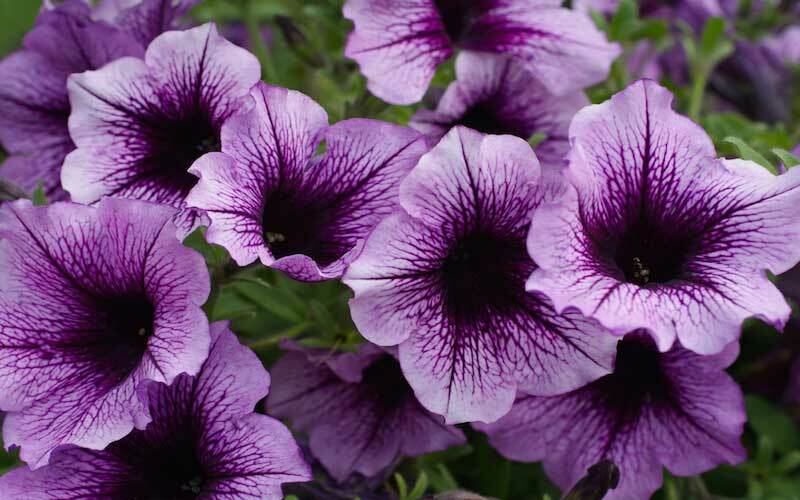 Petunias almost have a sinister type of beauty, with large, billowing petals featuring vein-like designs sprouting out from the dark center of the flower. 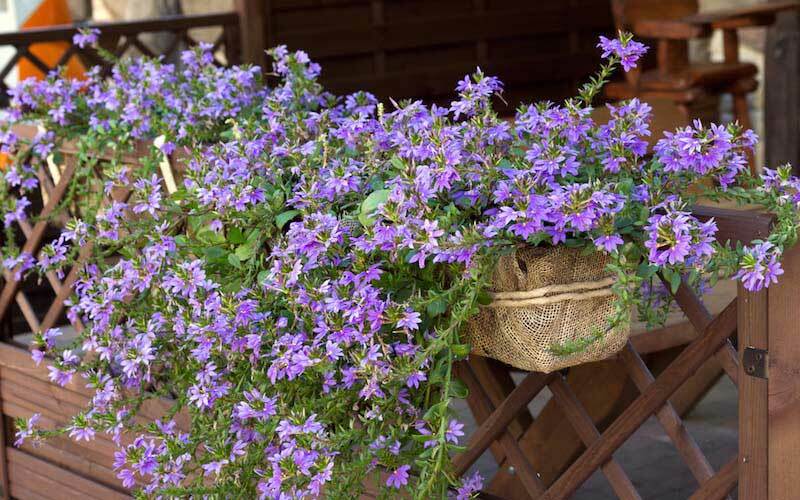 Scaevola flowers are ideal for hanging baskets. The stalks branch out from the center of the plant and the tiny flowers seem to float around the vines. 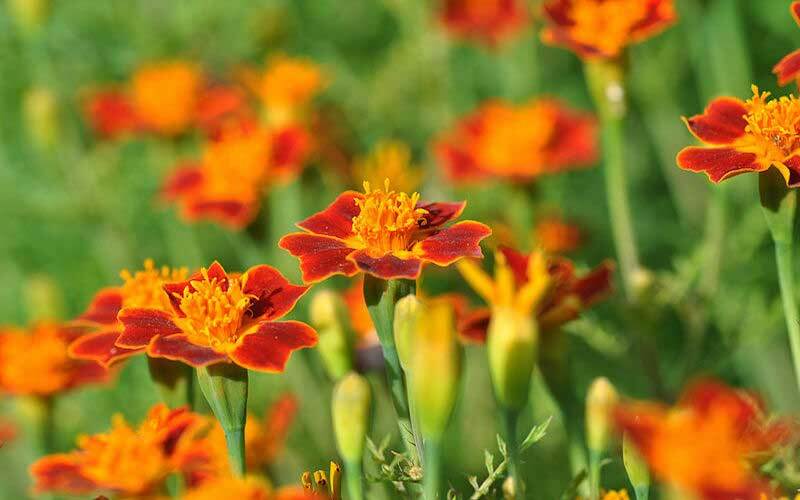 These Signet Marigold plants have bold coloring on the petals and in the center of the flower. We love the rusty orange coloring with a lighter outline on the petals. 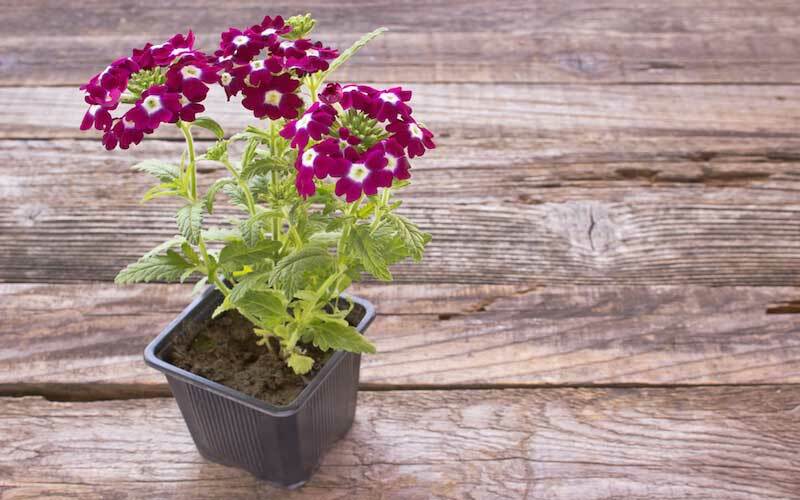 The Verbena plant fits nicely inside small containers, and will work great in hanging baskets as well! The small colorful flower petals are sure to liven up any space. The Water Hyssop plant also works fantastically in hanging baskets, since the flowers themselves hang down from long vines. We love the pure white petals!